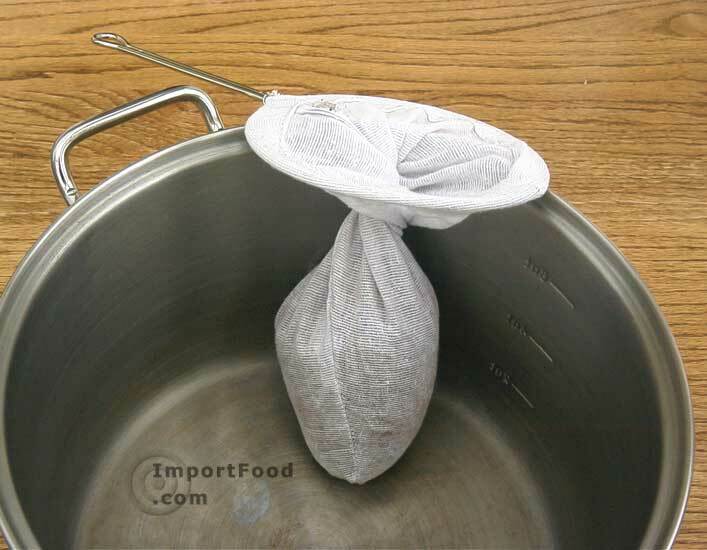 Thai iced tea is a very popular drink in the United States, and this Thai tea filter will let you prepare it to perfection. See below for our complete Thai tea instructions. Also used throughout Thailand to make Thai coffee. 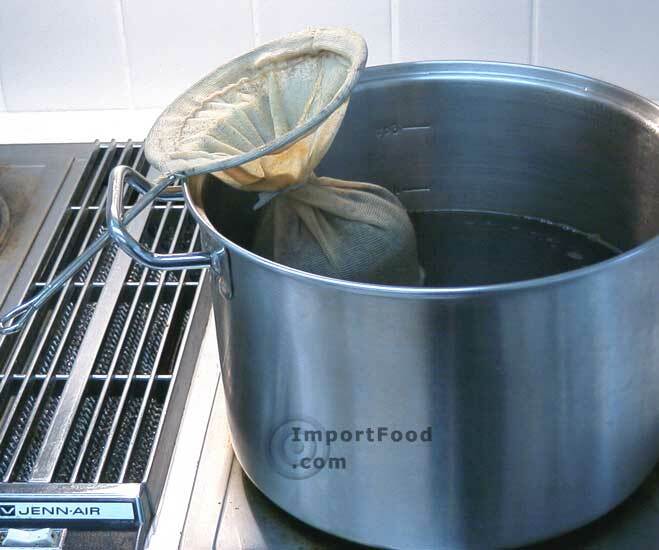 This tea filter is made of stainless steel and muslin. Use it again and again--we've used ours for years. The top is a circle 5 inches in diameter, and a handle 5 inches long. The mulsin filter is nice and long (8 inches) so it holds the tea well. Usually in preparation the tea is placed in the filter, then it's twisted a coupe times to keep it together. Product of Thailand.